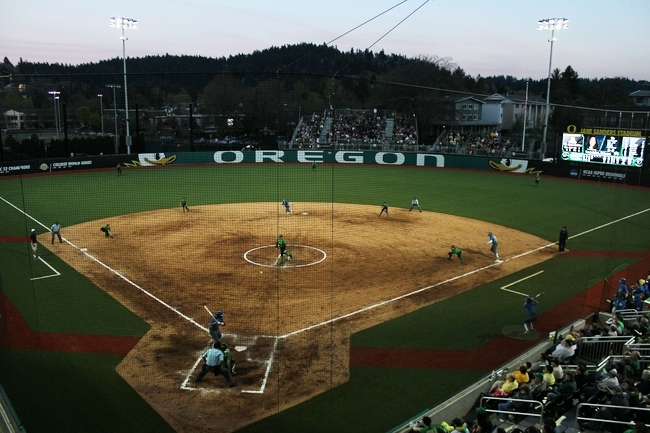 Into a stormy sea without a map would be an apt description of the offseason that is about to come to an end for the Oregon softball team. Competition and the routine of the season will quickly assume a greater portion of the attention though entering that phase of the Ducks’ makeover will won’t in and of itself lead to calmer waters. Much was unsettled in the aftermath of Mike White’s departure to Austin and new head coach Melyssa Lombardi was left with a situation no one could have imagined 6 months ago. Over the summer, then during fall camp and still into the very beginnings of the 2019 season a multitude of roster changes and the subsequent flurry of rumors and insinuations left a loyal fan base questioning how such a sequence of events could have transpired. The chronology of those events is well known… toxic contract negotiations with White, a newly available escape hatch via the transfer portal for the players, a breakdown in communications –whether intentional or not – between the administration and the team and a transfer request held hostage by Arizona State has left Lombardi on the eve of the season opener with a roster of 11 scholarship players (only two of whom can pitch and both are transfers), five late walk-ons and the projected starting catcher possibly forced into a redshirt season. It is a situation without precedent as reflected by the conference coaches voting the Ducks into last place after owning the conference over the past six seasons. Hard work and grit are two recurring themes in Lombardi’s coaching philosophy and the Ducks will need plenty of both as they begin to pick up the pieces and rebuild the program. Though in her first position as head coach, Lombardi brings an impeccable resume to the task and is considered an outstanding teacher of the game by all who have worked with her. In no small measure that credibility helped fill the pipeline of All-America and NCAA championship winning athletes that took the field at Oklahoma during her tenure as an assistant coach for the Sooners. How well that will translate into the rigors of the Pac-12 is yet to be seen and will in large part be determined by the hard work and grit of her 2019 team. 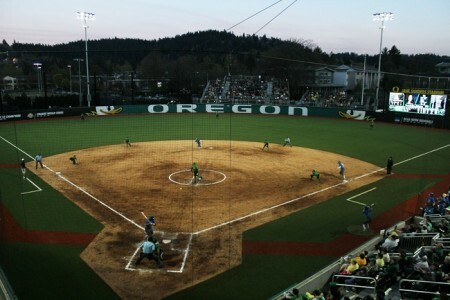 If wins are scarce – and they may well be – but should the Ducks find a way to wear those traits on their sleeves this year, a new class of Lombardi recruits and strategic use of the transfer portal could have Oregon back in the thick of the conference race and an annual threat to reach the Women’s College World Series in fairly short order. Clearly that is the best case scenario but then that’s what opening day is all about, isn’t it? Optimism reigns supreme and after an off season without the opportunity to build some of their own begins Friday at 10:30 am against Kansas at Kajikawa Classic in Tempe, Arizona. The Ducks open the home season at Jane Sanders Stadium against Oklahoma State, playing a single game on Friday, March 8th at 6:00 pm followed by a Saturday double-header beginning at noon. On the field, junior outfielder Haley Cruse along with seniors outfielder Cherish Burks and 1b/C April Utecht will shoulder the leadership responsibilities to help the ten freshman and three sophomores navigate their sudden changes in roles. Many will be called upon to play multiple positions as Lombardi sorts out the talent on hand and measures the progress of the youngsters. Pitching duties will be handled by a pair of sophomore transfers, Jordan Dail and Maddie MacGrandle, both southpaws. Cruse is the Ducks only returning starter, hitting for a conference leading .426 in Pac-12 play last season and will have to be the spark offensively. As a junior and primarily a pinch runner with limited plate opportunities, Burks belted three home runs in just 11 at bats and a breakout senior campaign in a starter’s role would certainly be welcomed by Lombardi to give the lineup some pop behind Cruse. Beyond that much is yet to be determined as a promising group of youngsters gets thrown into the deep end of the Pac-12 conference sooner than expected. While the experience may well prove beneficial in the long term, in the shorter term growing pains are to be expected. But with top notch competition in a month’s worth of tournament play before Pac-12 competition begins on March 15 when the Ducks open conference play at Arizona, Lombardi is hoping that learning curve can be accelerated.